Even devoted fans of filmmaker Richard Linklater might question the need for Louis Black and Karen Bernstein’s bio-doc Richard Linklater: Dream Is Destiny. Only in his mid-50s—and arguably at the peak of his career after the major awards and box office success of 2014’s Boyhood—the writer-director has so much work left to do that a retrospective feels premature. Also, Linklater has hardly ever been circumspect about how his own past has informed his films. He’s an articulate and gregarious interview subject and someone who’s drawn heavily from the details of his own life in his Slacker, Dazed And Confused, Before Sunrise, Waking Life, Boyhood, and Everybody Wants Some. In fact, there have already been two movies made about Linklater: 2014’s 21 Years (about his career up to Boyhood) and 2013’s Double Play (about his relationship with pioneering structuralist filmmaker James Benning). There wouldn’t seem to be much for a new documentary to say about him that hasn’t already been said. But it helps that Black has known Linklater since his early days in Austin, when Black was the editor of the alt-weekly The Austin Chronicle and Linklater was making shorts and booking repertory programs with his friends in the Austin Film Society. Dream Is Destiny isn’t into mythologizing its subject. 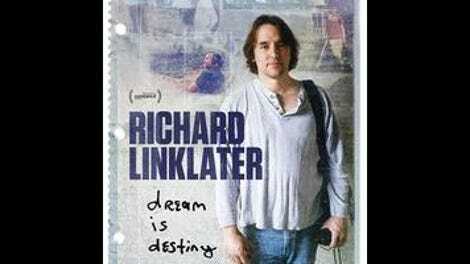 Throughout, the interviewees talk about how unassuming and even unimpressive Linklater can seem in person. They describe him as generally loose and mellow, with the habit of delegating so many tasks to his casts and crews that it can seem like they’re the ones who are really making his movies. Yet what’s on the screen—be it an experimental indie or a bigger-budgeted studio project—is always unmistakably in the voice of the director. The texture of real life, with its defining moments of wonder and awkwardness, has always been his forte. Dream Is Destiny doesn’t proceed along a strictly chronological path. Black and Bernstein start with the late ’80s, when the Austin arts community rallied to make Slacker, and then they describe how Linklater set off on his own with the larger-scaled Dazed And Confused. From there, the documentary goes through his major films mostly in order of their release, with digressions and doubling back where it makes sense to do so. (Before Sunrise and Before Sunset, for example, are covered back to back, and the 12-year making of Boyhood is a recurring motif that comes up throughout the doc.) 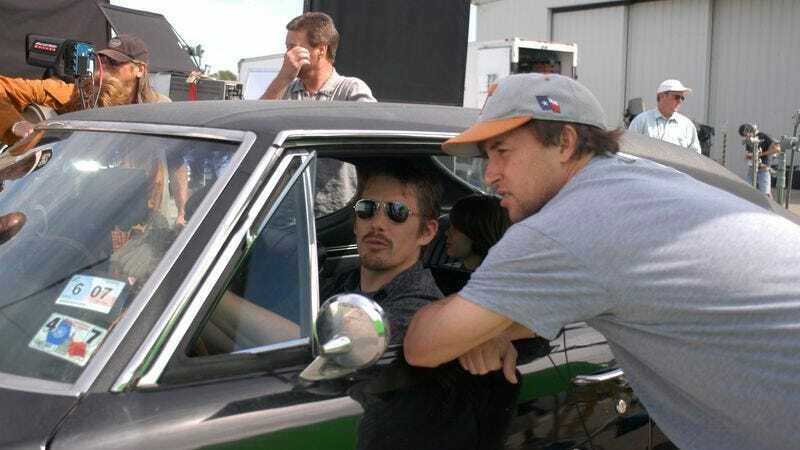 Black and Bernstein assemble rare behind-the-scenes footage and talk to Linklater’s major collaborators—including actors like Ethan Hawke, Julie Delpy, Jack Black, and Matthew McConaughey, who’ve all worked with him multiple times. Very little about the content or the form of Dream Is Destiny will surprise many cinephiles. That conventionality can be a little disappointing at times, given how many stylistic and storytelling chances that Linklater has taken over the years with his own work. It’d be wrong to call this film a glorified DVD extra, because there’s a wealth of detail and a somewhat critical eye that keep it from being merely boosterish. Still, when all is said and done, this documentary mostly amounts to a collection of anecdotes and stray bits of analysis, assembled in a way that has a flow but lacks force. Then again, Linklater himself often makes films that pivot from one idea to the next without trying too hard to connect them all. Although it’s casual to a fault, Dream Is Destiny is generally engaging and liberally sprinkled with real insights into what makes this filmmaker special. Whether it’s Hawke admiring the simplicity and relatability of Linklater’s ideas or the director himself talking about how he’s always made the movies he wanted to make (even when they flopped), Dream Is Destiny becomes, over time, an inspiring portrait of an artist who always finds something to do. If producers want to give him a lot of money, he’ll take it. If they don’t, he’s perfectly happy to head back to Texas and shoot movies for pennies in his own backyard. With every new obstacle, Linklater sees an opportunity.